Sign on to your account on Seller Central, in a new browser window. 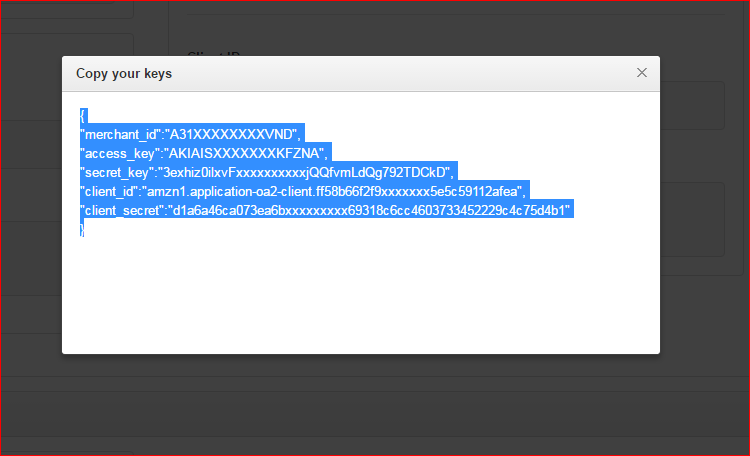 Click Integration, and then click MWS Access Key. Click the Copy your keys button in the top right corner to generate the keys. Highlight the text in the popup and copy it the clipboard. In a separate browser window open your Magento administrative panel. 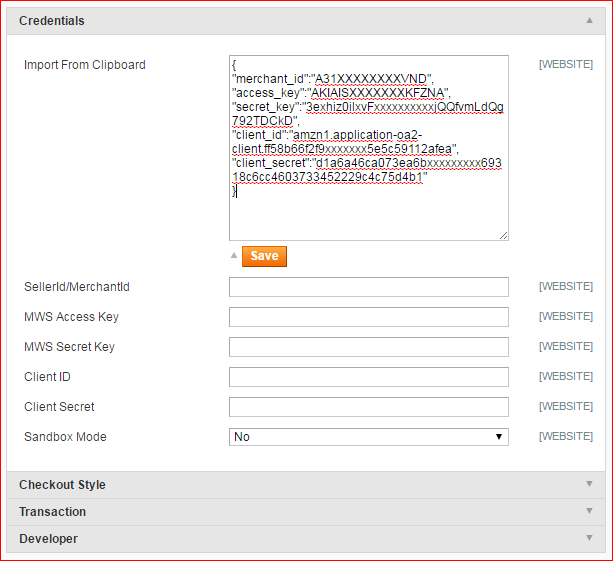 From the top menu of the Magento administrative pages, click System > Configuration. Look for the Sales heading on the left, and click Payment Methods. Scroll down to the Amazon Pay section of the page. Select I’ve already set up Amazon Pay, I want to edit my settings to open the plugin options. Click the Import from Clipboard button to show the paste field. Paste the contents from the clipboard into the window, and click Save. The page will reload, and your keys will be loaded into the plugin.